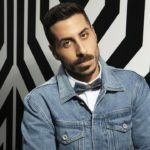 The TV talent show of HaKokhav HaBa L’Eurovizion, the Israeli version of The Rising Star, is unfolding week by week reaching last evening 16th auditions’ show, completing its first stage in its quest for Netta’s successor. 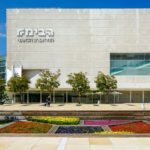 HaKokhav HaBa L’Eurovizion is used the latest years by the Israeli national broadcaster as the mechanism to select the country’s Eurovision acts. For once again the national selection process to find Netta’s successor sticks to previous years’ format. Although the broadcaster is sticking to previous national selection format, however some changes have been introduced to the show. In this year’s edition the selection of the song that we’ll see in Eurovison will be also part of the show. The broadcaster will hold 3 additional shows in order to seek for the next Eurovision entry. Also the broadcaster will hold a special spin off show to select one act that will qualify directly to the final of HaKokhav HaBa L’Eurovizion. This will be the first time that Reshet 12 and KAN will be both holding a show to determine the next Eurovision act. The talent show reached the last 16th round of auditions during which the performing acts should receive a total of 70% out of the maximum voting coming from the public and a jury, in order to pass to the next round. This year’s judges that form the jury are: Assaf Amdursky, Harel Skaat – (Eurovision 2010), Keren Peles, Shiri Maimon – (Eurovision 2005) , Static & Ben El Tavori. 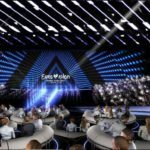 This was the last round of auditions for the show, during which a total of 68 acts managed to bring down the wall and make it to the next stage of the show, that will determine Israel’s next Eurovision representative. However one of them, Elkana Marziano, eventually withdraw from the competition.